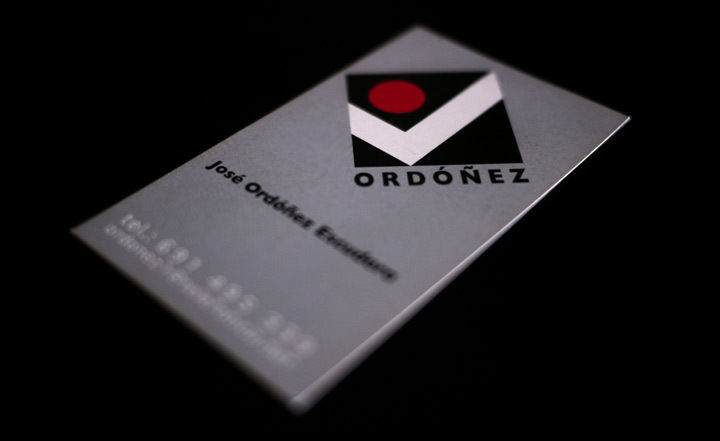 This logo was designed for independent kitchen installer José Ordóñez Escudero. His business has an important advantage over his competitors which are mainly kitchen stores: the price. He claims that "you can get any kitchen that you want for a fraction of the cost", and this is possible due to the fact that he doesn´t need to maintain any shop, getting new jobs just from mouth to ear. Just show him your favourite kitchen from several catalogues, he will make the best quality work at an unbeatable price. The logo is supposed to point at kitchens and installer. Therefore it was made of abstract graphical elements which evoke a vitroceramic cooktop, a human figure with one arm raised (installer), a wheelbarrow or a checkbox for the quality.